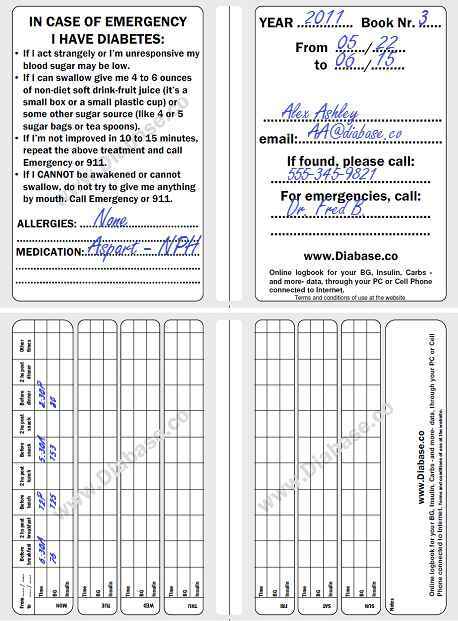 These free Downloads are offered as a courtesy to help you out with your controls, but they are in no way needed to store your data or use www.Diabase.co. Enjoy! 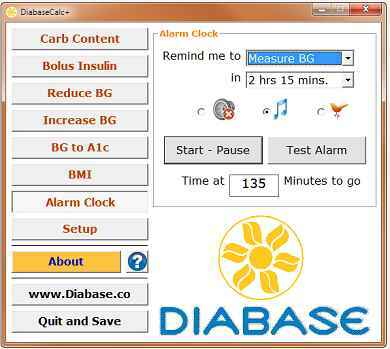 This Windows program reproduces Diabase calculations for BG, Insulin corrections and Carbs, and includes a customizable alarm to remind you for corrections or BG checks. Last entered values are memorized, so there's no need to retype your ICR or other data every time. This program is Freeware, free download and use. 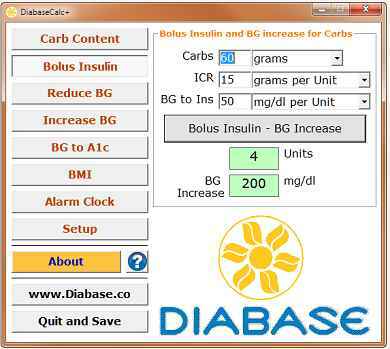 Printable PDF file, allows you to write down your daily values of BG, Insulin and Carbs. Two files available for download: Cover pages and Inner pages. Print one set of Covers and as many inner pages as you want -all as double sided-, cut the lines, and bind it together or staple it. Your notebook will show you a full week when you open it. Its size will be slightly smaller that half the size of a letter sheet,. When clicking the link, the PDF file should open in an Adobe (or similar) PDF reader. You may save it from there. If you want to save it directly, you can Right Click the link, select "Save Link As...". That way the file will be downloaded to your disk. 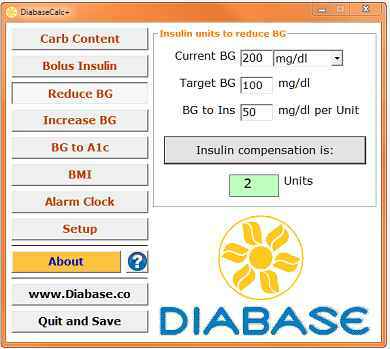 Download Diabase programs. They work with Windows XP, Windows Vista and Windows 7. There is no technical support for these downloads. If you consider -or not- a one time donation for this Freeware, it is NOT going to affect the programs functioning in any way. They'll keep working the same way they did when you downloaded them. In any case, we thank you for your patronage or for just visiting our website.